Attention GAPNA conference attendees - please check your email for the official notification regarding all of the information you need to download and set up your GAPNA conference app! 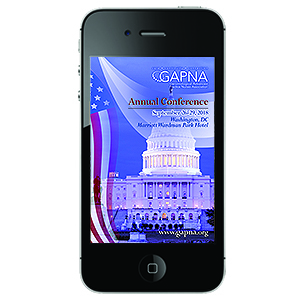 Go to gapna.org/2018app on your smartphone or tablet to download/access the app! Posted on September 19, 2018 - 1:17pm. 0 Comments. Last updated on September 20, 2018 - 10:33am.